Agi (Agnes Palko) is an hungarian lady living in Sweden. 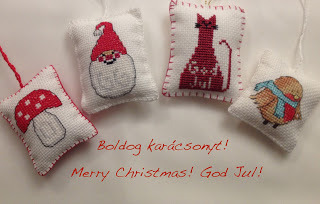 She is cross stitcher but also does other type of embroideries. In her blog The World According to Agi you can see all the techniques she uses as patchwork, quilting, knitting, blackwork,.... She is offering also an important quantity of freebies (I stitches already couple of them, thank you Agi). 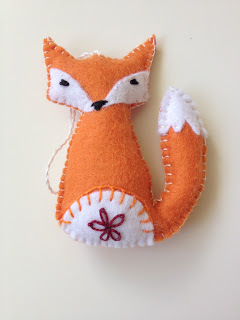 She sells some items in her Facebook page as toys and ornaments made on felt as well as cross stitch pattern. Let's know a bit more about Agi. Why did you start writing this blog? I started the blog in 2011. 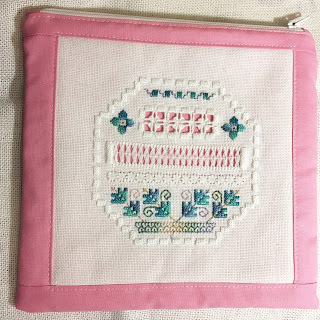 By then I had already been doing lots of knitting and cross stitch embroidery, and I started to get interested in other forms of needlework and textile crafts as well. I was following some blogs about these and I thought perhaps it might be interesting for others to read about how I am learning new things. I also started to design simple cross stitch patterns and wanted to share them. It is mostly about how I am trying to develop my skills in textile crafts. I show what I work on, what are the new things I am learning. Recently I have been doing lots of experiments, and I share those too. In what environment do you write your blog? When I started, I was working as an English and Hungarian teacher, was very busy, and it was only a hobby, a small part in my life. Now I work as a textile teacher and I basically spend most of my time with textiles. This should mean that I write more on the blog but unfortunately it is not so. Doing embroidery, sewing, knitting etc is quite solitary, so the blog is supposed to be a way of communicating. I should spend more time on it. Who do you think would love to read your blog? People who are afraid to try themselves in new things. For me it took a long time to admit that I want to become a textile artist. But now I understood that it is nothing to be afraid of, or ashamed of. Perhaps there are some people out there who will use my example and will gather the courage to do what they love to do, learn new things, try things and see where they lead. Ten years ago I wouldn’t have believed that one day I will live my life like this. But hey, it is possible. Why should people follow your blog? Most of my followers like to come back for the free cross stitch patterns. Which is fine, cross stitch is still one of my biggest loves, and I enjoy playing with the pattern making program. However, if you are learning to quilt, like I do, you can follow me and learn with me. Same about eco-dying, recycling textiles or creating art and finding your own language. 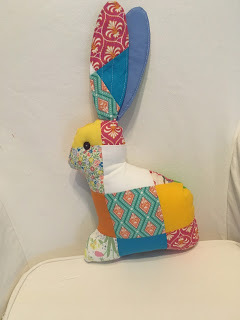 For me, following other crafters blogs was a great inspiration, and I hope to become inspiration for others, too. I was embroidering a lot as a child, and then came back to it about 12 years ago. 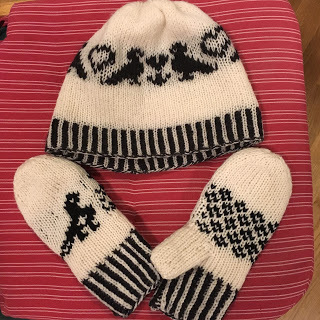 I have knitted almost all my life, for about 35 years. I learnt to weave when I was 23 but didn’t do it for a long time. And a lots of other things, like crochet, sewing, patchwork I only learnt in the last 10 years. I love folk art, I look at old textiles and old clothes a lot. I also love Pinterest and other peoples craft blogs. And nature is a never-ending source of inspiration for me. Crafting for me is a way of relaxing, a way of finding myself, finding peace with myself. People often ask me how I find the patience to do this. I usually answer I don’t need patience for crafting, just the opposite: crafting gives me patience to endure the rest of life. Some things I learnt from my grandma, my mum and godmother. Other things I learnt from books, on courses and recently, from the internet. I love watching Youtube videotutorials. I sort my yarns or embroidery threads. Look through my books or magazines. Or just do something less creative, like knitting socks or a scarf. I get back to my project later - it is all right for me, I usually have lots of things on the go at the same time. This is difficult. It depends. Mostly I am quite all right with a needle, thread and a pair of scissors. I love embroidering, sewing by hand, I have even tried to learn hand quilting. But of course, I would be devastated without my beloved sewing machine or my knitting needles. I have lots of toher things, but these are the most important ones. Thank you for letting us know more about you and congratulations for your nice jobs. Hope you continue with your blog soon.